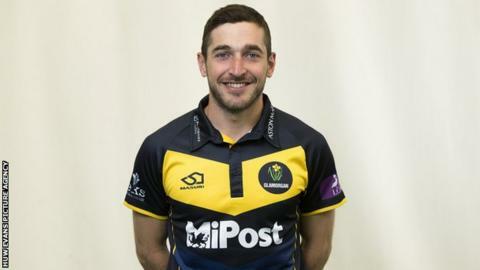 Glamorgan include all-rounders Andrew Salter and Craig Meschede in their opening One-Day Cup squad of the season to face Essex in Cardiff. Seamer Lukas Carey, who was in the Championship squad but did not play, retains his place in the 13 while batsman Nick Selman misses out. Batsmen Marnus Labuschagne, Charlie Hemphrey, and Billy Root are set for limited-overs debuts. Essex were quarter-finalists in 2018, with Glamorgan last in the South Group. Former England Test captain Sir Alastair Cook is set to feature for the visitors after his retirement from international cricket. "He's an unbelievable cricketer and as down-to-earth a character as you could meet, you wouldn't know he's England's leading run-scorer and a knight, as he's just so humble," said Glamorgan coach Matthew Maynard. "We'll need to try to get him out early otherwise he can lay the platform for a substantial Essex total." Glamorgan play four of their first five games at Sophia Gardens, which will then be taken over for international cricket in May and June. "That works out nicely for me since I've only played a handful of games here, " said newcomer Root, who scored a century on his Glamorgan Championship debut in the high-scoring draw against Northants. "I'm just looking forward to getting a few home one-day games under my belt and hopefully we can get a run (of wins) going." Glamorgan (from): Lloyd, Meschede, Hemphrey, Labuschagne, Root, Carlson, Cooke (capt, wk), Wagg, Salter, de Lange, van der Gugten, Carey, Hogan. Essex (from): Ten Doeschate (capt), Bopara, Chopra, A. Cook, S. Cook, Harmer, Lawrence, Nijjar, Porter, Quinn, Siddle, Walter, Westley, White (wk).